The PADI Open Water Diver course is your ticket to a lifetime of underwater adventures. 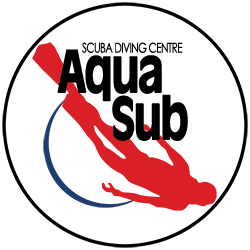 Please Select Included Your enrollment includes the PADI Open Water Diver Touch eLearning course materials. Add your checkout dives now to save $100. Please Select Saturday, June 8, 2019 (2 places(s) available) - (3330) Saturday, June 22, 2019 (7 places(s) available) - (3334) Saturday, July 6, 2019 (8 places(s) available) - (3335) Saturday, July 27, 2019 (3 places(s) available) - (3331) Saturday, August 10, 2019 (8 places(s) available) - (3336) Saturday, August 24, 2019 (6 places(s) available) - (3332) Saturday, September 14, 2019 (8 places(s) available) - (3333) Saturday, September 28, 2019 (8 places(s) available) - (3337) Tuesday, December 31, 2019 (135 places(s) available) - (2295) By purchasing your check outs with your pool package now you save $100 off the regular check out price of $200. Pick the start date for your two day Open Water Checkout weekend to add this to your enrollment. If you want to enroll now, but are unsure of the date you wish to choose, pick Dec 31st 2019.